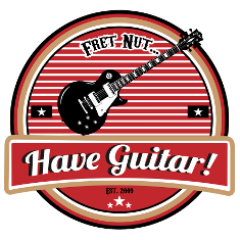 Stomp Boxes Archives - Fret nut... Have Guitar! ToneJunkie really lives up his name, just watch this video… not only will you get a detailed account for the revision history of every version of this great overdrive pedal but also sound examples from them. Side by side! So worth watching if you’re a guitar geek like me! Boss Metalzone – how to make it sound great! So, everyone must have seen at least one time when the Boss Metalzone (MT-2) has been apointed as the “the worst pedal ever”. Right? Wrong. Here’s a fun video where Ola Englund makes it sound great! Follow Have Guitar on Youtube! Author adminPosted on August 31, 2018 Categories Stomp Boxes, Video TipTags boss, distortion, have guitar, heavy metal, metalzone, mt-2, stompLeave a comment on Boss Metalzone – how to make it sound great! A really cool overdrive pedal from Electro-Harmonix, demonstrated by John Skibic. Looks good, sounds good as always from Electro-Harmonix.